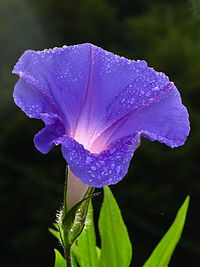 Beauty with a Twist: Morning Glory(hole)? It started off as a lovely morning, the weather was warm, I managed to have some breakfast ( I always forget!). I was ready to start my workday! Until the phone rang at 10:30am... It was someone on the other line asking for a video booth, actually he wanted a gloryhole. At 10:30 in the morning... Did you hear a noise? It was my palm making contact with my forehead. At least let me finish my coffee, dude! P.S., sorry for being such a bad blogger! Once my work week starts, things get a little cray around here. I do have some posts lined up soon, bear with me. I've also been thinking of doing a little giveaway when I reach 50 followers, just as a thank-you for all the bloggy love I've received. What do you guys think? How do I become a follower? Also that was hilarious LMAO!!! What did you tell the person?